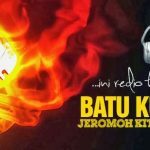 Batu Kurau FM is one of the most famous online radio stations on Malaysia. Batu Kurau FM is one of the radio stations that is gaining ground among the Malaysian radio community. To get involved with Malaysia and their radio community Batu Kurau FM is a perfect choice.